CAIR-AZ ACTION ALERT: Let the Maricopa County Attorney’s Office (MCAO) Know that State Sponsored Anti-Muslim Training is NOT Acceptable. Let the Maricopa County Attorney’s Office (MCAO) know that state sponsored anti-Muslim training is NOT acceptable. CAIR-AZ is urging Arizona’s Muslim community to let Maricopa County Attorney Bill Montgomery that his decision to let known anti-Muslim hate speakers train hundreds of police officers and prosecutors is unacceptable. Guandolo listed as by the Southern Poverty Law Center on its Hatewatch database – which tracks hate groups throughout the U.S.
On September 19th, the MCAO is hosting a training presentation on “Islamic extremism” with known Islamophobes. 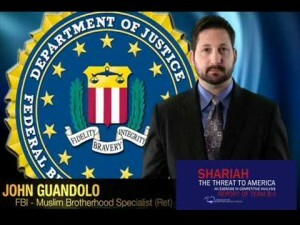 John Guandolo and Clare Lopez – two headlining speakers at this training event – are known for their well-documented anti-Muslim hate rhetoric. Arizona Muslim community leaders, along with the ACLU, wrote to Maricopa County Attorney Bill Montgomery highlighting concerns over allowing hate speakers to train our law enforcement and prosecutors. Rather than dropping these discredited and controversial speakers, Montgomery doubled down on his commitment to move forward with the Islamophobic training. • CALL 602-506-3411 and WRITE the MCAO to let them know we cannot allow anti-Muslim hate groups to come and train our law enforcement with our tax dollars. Let Maricopa County Attorney Bill Montgomery know that state-sponsored Islamophobia is not acceptable.